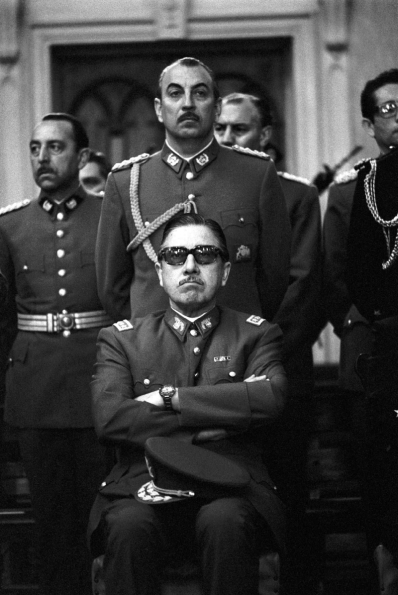 After a directive to "make the economy scream" through sabotage, the CIA helped install Augusto Pinochet to replace Chile's democratically elected leader, Salvador Allende. Pinochet's regime was responsible for the death of thousands, and the arrest and torture of tens of thousands. Credit: Chas Gerretsen. Fair use.